For more than two decades, I’ve worked with corporations, executives, professors, public relations firms, consultants, analysts, and creative writers of fiction and memoir to craft words worth reading. Interviewing transplant surgeons, cancer specialists, heart surgeons and orthopedists to create dynamic, consumer-friendly website content explaining their brilliant work with patients. Creating social media messages (tweets and Facebook posts) to help a large organization reach its audiences where they are. Crafting messages to support communications campaigns for several regional and national health care organizations. 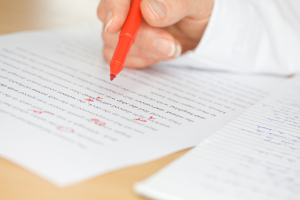 Copy editing news releases for several national PR firms to ensure their clients’ news aligns with AP Style and is perfect in every detail, from grammar and syntax to working links to the spelling of names and places. Technical editing of content for a web company’s site, where many of the employees aren’t native English speakers. Art editing a series of essays about a contemporary artist for an exhibition catalog to accompany her solo show. Developmental editing of a story for a creative writer. Get in touch about your project. Via email or phone, we’ll establish goals, timeline, and budget. Then send me your file or assignment (and breathe a sigh of relief). I’ll edit or write to your specifications, on deadline. You’ll receive your words, only better—scrubbed of typos, inconsistencies, and errors, and ready for you to further refine, finalize, or submit. And of course, I’m always available to answer questions, provide clarification, help you create a consistent style guide for your own use, or give you the encouragement you need to keep writing. I have years of experience working with clients from beginning copy writers, to creative writers seeking feedback and direction, to corporate executives who have the ideas, but not the time—or desire—to craft every word themselves.